It’s that time of year when we all become a little obsessed about our lawns. This also happens to be the time I start getting thousands of questions about grass. I think it’s about time to put all my knowledge out there so you can grow the best turf possible for your home. The grass in our lawns is predominantly made up of just a few species. In cold weather climates, we use Kentucky Blue Grass, Fescues and Rye grass blend. It’s important to know this because there are characteristics of each type of grass that impacts how it grows, what it needs and what it likes to feed on. You can’t compare the grass we grow to hot climates like Florida or the Caribbean, where grasses grow and look very different. 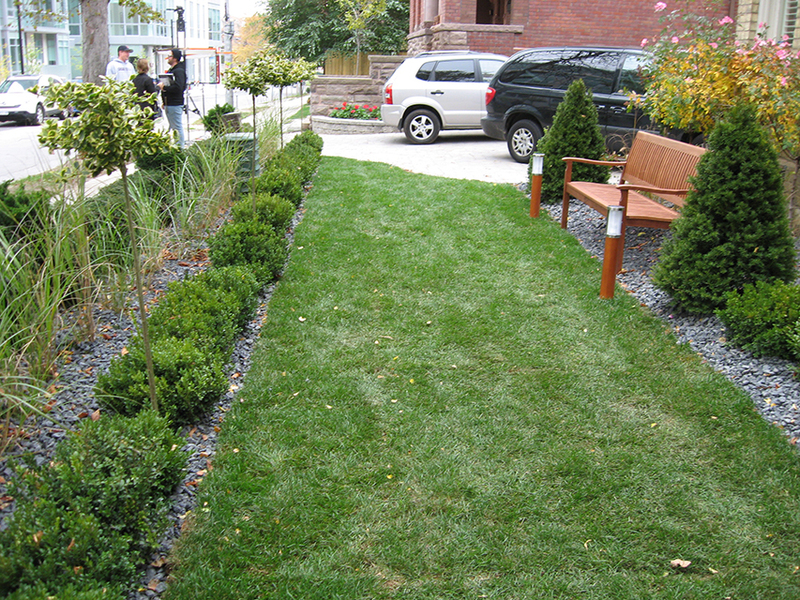 · Kentucky Blue (KB) is a classic type of lawn grass and the one we all associate with the perfect lawn. It is the predominant base grass we use because it is the prettiest. Unfortunately, there are a few downsides; the most notable is that KB is shallow rooted. Its entire root structure usually only grows down to between four and six inches. Shallow-rooted grasses are not the best at competing for nutrients or available ground water, which means you have to supplement them more often with regular watering and additional fertilizing. Kentucky Blue does have a few advantages, though. This grass spreads horizontally very well. It sends roots on top of the soil (stolons) and roots below the soil (rhizomes) that help the lawn establish new growth to fill in the empty patches in your yard. · With narrower leaves and a coarser appearance, Fescue grass isn’t as pretty as Kentucky Blue, but is generally much tougher. Fescues are best suited for high traffic areas; they have deeper root systems, some going down as deep as six feet. They also do better over the winter months, coming up greener faster than other options. Fescues also have something in them called endophytes, which many insects, including grubs, don’t like. There are downsides to fescues; this grass doesn’t handle heat well and needs a lot of watering in the summer months. · Rye Grass is a blender in our yards and should never be the main seed we use. Rye grass is the fastest growing option and quick to fill fixing brown patches. However, Rye grass doesn’t do well in heat or shade situations. Most savvy homeowners use rye grass to top dress their lawns in the spring to get a flush of healthy green before the Kentucky Blue starts to grow. At the end of the day, you still have to take care of your lawn no matter what type of grass you are growing. Watering and fertilizing your sod goes a long way to creating that perfect swath of green! Grass grows better when it is fed. If you want the perfect lawn, you will probably have to find some way to get nutrients into the ground so your shallow-rooted grass has something to feed off. Environmentalists want homeowners to stop adding fertilizers to the yard because the synthetic chemicals are ending up in the water table. The best option? Choose organic fertilizers. 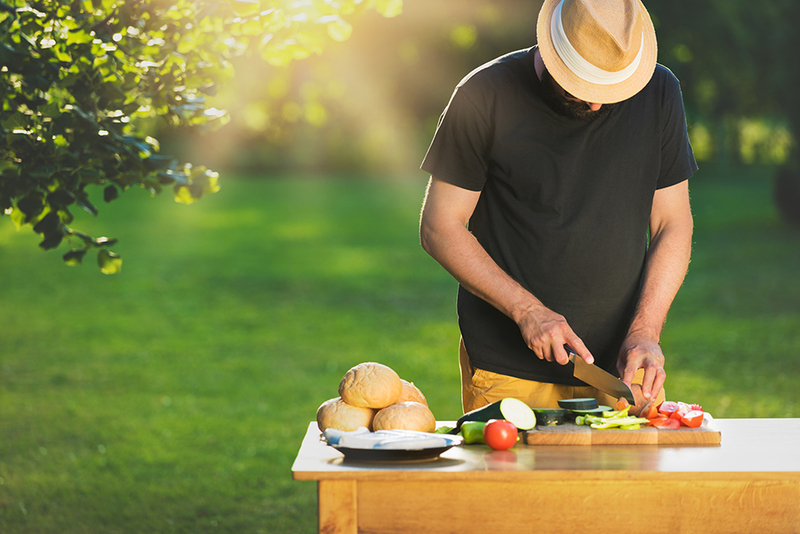 Organic fertilizers are carbon-based and often derived from living organisms. They breakdown into the soil naturally, adding the nutrients your lawn and plants need to promote healthy growth. The best time to apply organic fertilizers is the spring because they promote new growth. Watering grass has obvious benefits. Grass needs water to survive, in times of drought or heat; turning on the sprinkler might be the only thing that will save your lawn. The big issue that gets activists riled up is the idea of wasting water on something that many consider ornamental. We can all do a better job with watering the lawn if we invest in a simple rain gauge. A rain gauge measures the amount of water that naturally occurs. 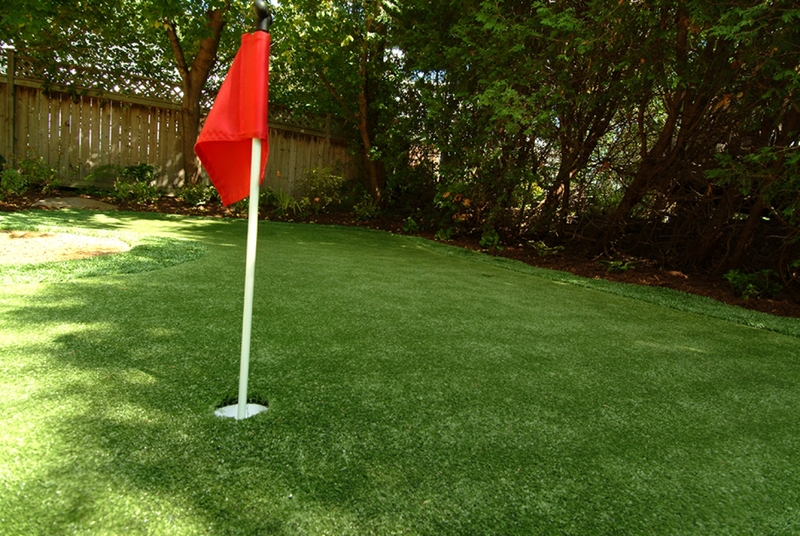 The average lawn in Canada needs one to 1.5 inches of water per week to survive. I only water in the morning or in the evening, not because of burning my lawn, but because of evaporation. If the sun isn’t out, more water actually gets to the roots where it is. Also consider changing your sprinkler to one that gives bigger water droplets. Water that is a fine mist will stay on the blade of the grass and evaporates the fastest on a hot sunny day. For years, I’ve been talking about how much I hate grass. Just recently, I’ve realized it’s not grass that I have a beef with; it’s how we look after it that is the issue. I now know the right seed in the right place and the proper techniques to look after it makes for a beautiful thing, which can be environmentally friendly at the same time!